Why not have that small farm and country lifestyle you have always wanted? 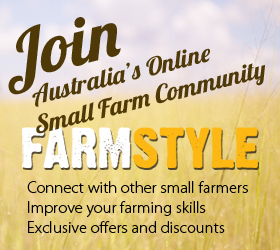 Farmstyle.com.au is an information resource for those people serious about changing lifestyles and learning to farm. Whether its choosing a farming enterprise, carrying out a routine farming task or purchasing a small farm there is something for everyone. Farmstyle relys on a number of farming experts who are hand picked and leaders in their field. Charlie Roberts, owner and manager of Farmstyle has grown up on a family farm, living and breathing farming from a young age. He has worked across Australasia, seeing the costly mistakes that new farmers can make. You will learn from his insight. 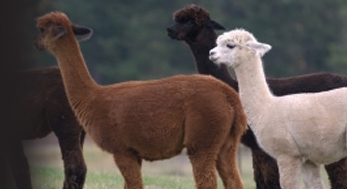 Farmstyle is owned and run by Charlie and his team of farming experts. Charlie is well recognised in farming circles after growing up on a farm in Central New South Wales, so he walks the talk. Charlie has a Bachelor of Farm Management and also a Masters of Business Administration. He has worked for a number of agricultural companies in both New Zealand and Australia. He has a wealth of experience working with farmers in a range of environments. You will be able to learn directly from Charlie (and his support team) along with the many other members of this site. There is no need to struggle on your own and spend hours searching the internet for accurate farming information. We are here to help and share the farming experience with you. All of this comes at a very affordable price, for 'FREE'. Just think, information from one of our experts or another experienced small farmer could save you hours of time and money. 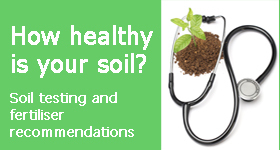 Alternatively one farming mistake could cost you thousands of dollars. Get free, instant access by clicking here and completing the application form.